From hull construction to final rigging, our Ship Modeler's Vise adjusts your model to the right angle for easy access to all components. 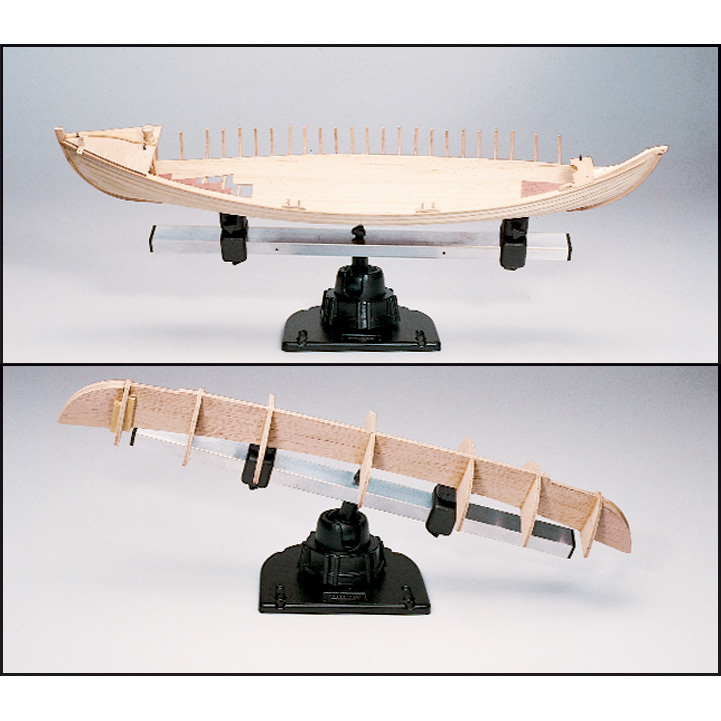 Will hold both plank-on-frame and solid hull models by the keel. Will also hold plank-on-frame models by the bulkheads for 'upside-down' planking. Cast aluminum base with ball swivel lets you tilt and turn your model to any position. Molded nylon vises hold keels or bulkheads up to 1/2 inch thick and are adjustable along the aluminum bar to accommodate almost any size model. Can be mounted to workbench with wood screws (not included) or with C clamps (included). Aluminum bar is 15 inches long.